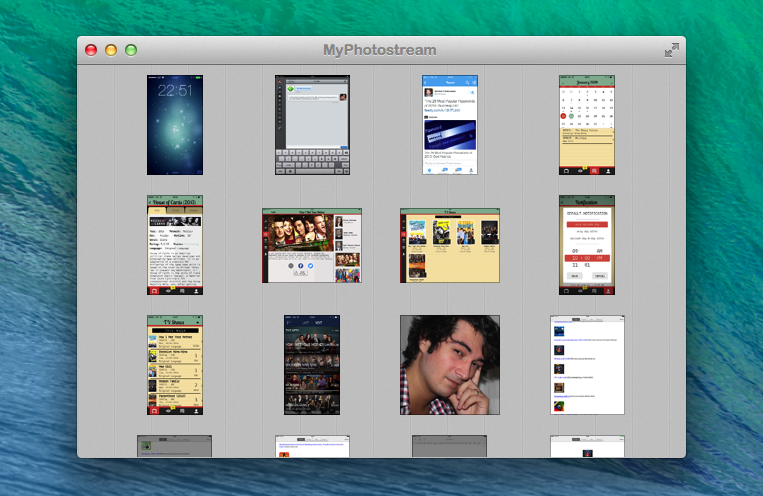 When it works, Photo Stream is convenient. The underlying principle is simple enough: you take a picture on one device, it automatically transfers to all other devices with iCloud. In practice, it’s a convoluted feature. Apple is using quantity and time-based limitations for Photo Stream, which comprises both your Photo Stream (called “My Photo Stream”) and Shared Photo Streams, which are all part of iCloud, but only your Photo Stream counts against storage. I wouldn’t be surprised to know it took Apple more time to come up with Photo Stream rules than to build the actual technology. It’s difficult to explain, and I suggest listening to this Mac Power Users episode to grasp how Photo Stream works and what it can do. I want the canonical copy of my iPhoto library in the cloud. 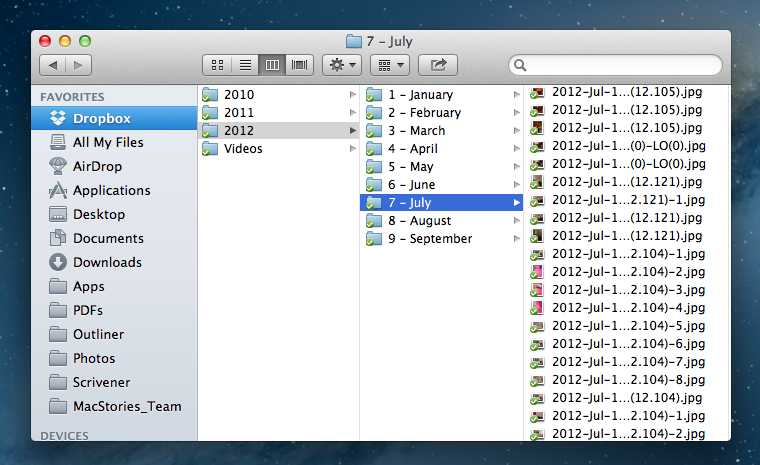 One iPhoto library in the cloud, many devices with access to it. I want to edit, organise and delete photos on any device and see the same changes on all other devices. No master/slave setup - just straight cloud access. I get that there are limitations and lots of things happening in the background, but a lot of that makes itself evident in Photos if you look closely enough. I don't necessarily agree with Peter's pricing ideas or that Dropbox and the like are even a threat. But what I do agree with is that the dumb syncing silo that is Photo Stream has to go. Camera Roll can stay as it is — I don't necessarily need the two merged. When I move photos from the camera roll into a new album, that photo should be gone — moved from my Camera Roll. And those albums should simply show up everywhere from my iPhone to my iPad and on my Mac or Windows box. The "duplication" that happens everywhere with photos right now on iOS is absolutely crazy. And if I want to use the iPhoto app on iOS instead... can't I just make that the default? I love taking pictures on my iPhone. But the syncing, the managing, the sorting... it's not great. While Apple's iWork updates for Pages, Keynote, and Numbers include support for iCloud and the MacBook Pro with Retina display, today's updates for professional and creative applications such as Aperture (already updated to take advantage of the Retina display), iPhoto, and iMovie consist of stability improvements and further integration with this morning's release of OS X Mountain Lion. The latest version of Aperture includes updates for added compatibility with Mountain Lion, addresses stability issues that can occur when the app is in Full Screen mode, tweaks auto white balance when using Skin Tone mode, and now lets users sort projects and albums in the Library Inspector by date, name, and kind. Today's iPhoto update is about bringing sharing options to Messages and Twitter, whilst fixing some stability issues and improving compatibility with Mountain Lion. Last month, iPhoto and Aperture were updated with the release of the MacBook Pro with Retina display. Among other things, this update unified the two apps' libraries, enabling them to access each others' stored photos natively. While iMovie's release notes don't specifically mention Mountain Lion on the Mac App Store, it does call for fixes with third-party Quicktime components, improved stability when viewing MPEG-2 clips in the Camera Import window, and brings sound back to MPEG-2 clips important from a camera (where it may have been absent before). You can download Aperture, iPhoto, and iMovie from the Mac App Store. iPhoto for iOS was released on the App Store earlier today, and after an enthusiastic introduction at Apple's media event in San Francisco, the latest photo editing app from Cupertino received a controversial "welcome" on various blogs and Twitter streams as users got their hands on the all-new interface and photo management system. So what's all the fuss about iPhoto for iOS? I have been trying the app on my iPad 2 and iPhone 4S (running iOS 5.1, of course, as it's a requirement) for the past few hours, and I think that it is very powerful. As I'll illustrate in a bit, Apple did manage to squeeze some advanced photo editing and refinement technologies in the mobile version of iPhoto, putting it on the same level if not above iPhoto for Mac when it comes to editing, making quick adjustments, and interacting with your photos. Once mastered, the new gestures and tap commands can be quite powerful, although the app can have a steep learning curve. I also believe, however, that iPhoto for iOS suffers from a serious file management problem, in that it's the best example of iOS' lack of a centralized file system where apps are able to easily "talk" to each other and share files or modifications to them. I want to get this out of my system before I get to the (very) good stuff. If you were hoping to see Apple coming up with an effortless way of importing photos avoiding duplicates and manual management, well, I'm sorry, you'll be disappointed with iPhoto for iOS. This version of iPhoto is yet another data silo that is self-contained, and won't simply "sync" the changes it makes to photos out of its closed environment. 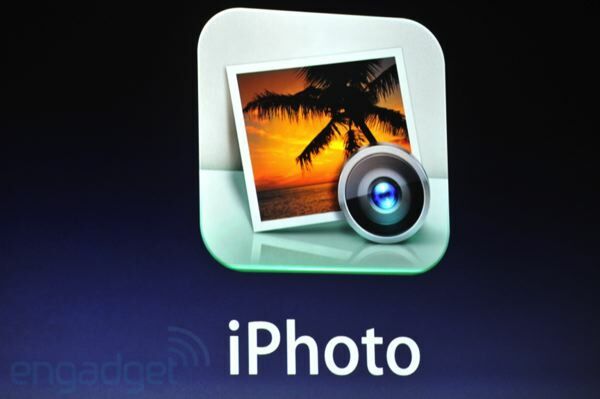 Available only for iOS 5.1 and announced during today's keynote, iPhoto for iOS is now available in the App Store. With a size of 106 MB, the download isn't below Apple's bumped 50 MB download cap over the carriers' networks. The iPhoto app for the iPhone and iPad completes Apple's iLife suite on the iPad, joining iWork, iMovie, and Garageband updates that are also now available on the App Store. Past the break you'll find iPhoto for iOS release notes. Update! We're updating the post with screenshots past the break. 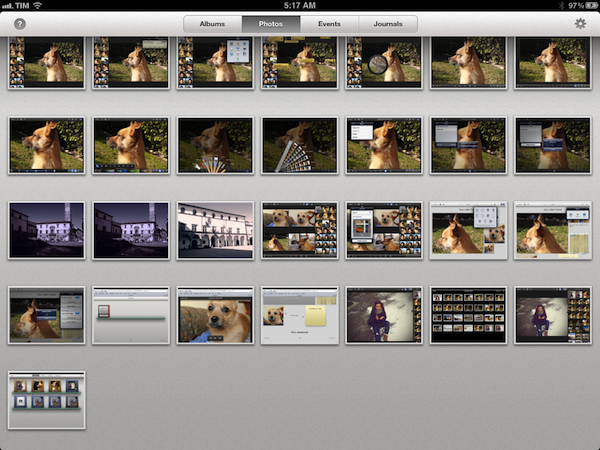 At the media event in San Francisco, Apple today announced an all-new version of iPhoto for iPad. Giving users new ways to organize and browse their photos, iPhoto for iPad comes with new effects, new gestures, multi-touch editing, and a new feature to seamlessly share photos between devices. 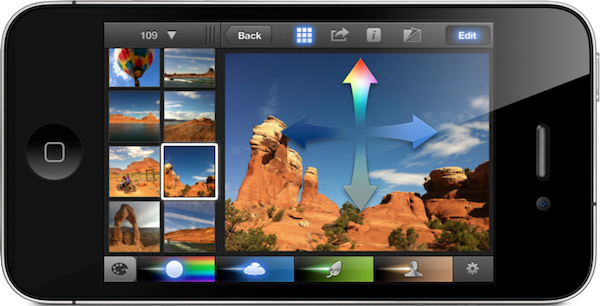 With a dark interface completely rebuilt for the iPad, iPhoto makes heavy use of gestures to browse and edit photos. With a simple swipe gestures from the side of the screen, users can bring up a list of photos to edit. A double-tap will allow users to automatically find similar pictures, or enter full-screen mode. With support for EXIF information and sharing on various social networks including Flickr, iPhoto for iPad is set to become a great mobile companion to photographers -- the app even features an auto-enhance mode to instantly enhance various aspects of an image, as well as other advanced effects. Brushes, white balance, cropping -- they can all be accessed through multi-touch gestures and commands in the new iPhoto for iPad. Aside from skeuomorphic brushes, iPhoto for iPad comes with a new Photo Journals functionality that lets users build "journals" using photos and additional information such as location and weather data using the stored GPS info and various EXIF data from images. 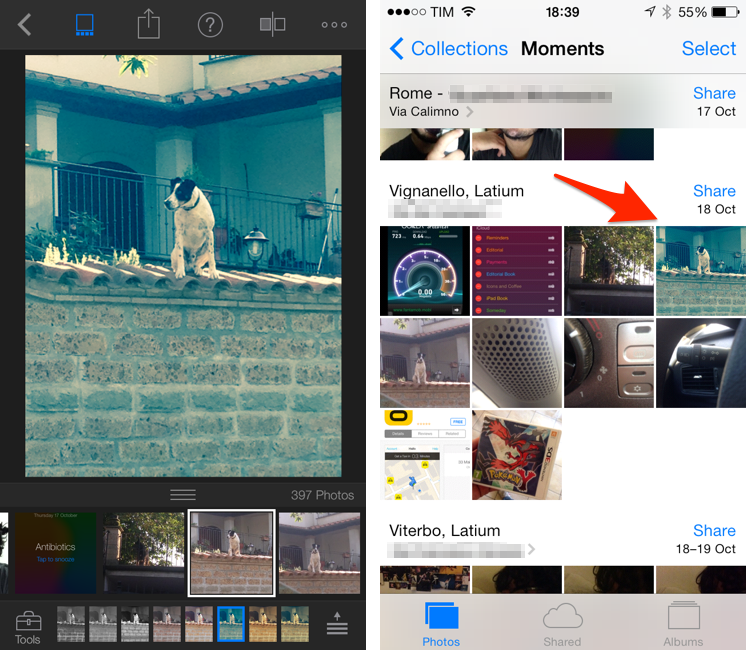 Users can move photos around, add captions, choose favorites, and share the results with their friends. iPhoto is a universal app (runs on the iPhone as well), and it will be released today at $4.99. Check out our complete March 7th coverage here.